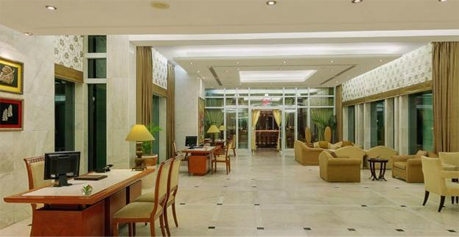 Jaypee Hotel and Conventional Center is an emblem of luxury and comfort in Agra. This lush five star property is a magnificent architectural marvel representing an amalgamation of marble and red sandstone in an immense area. Located just 6 kilometers away from the monument of love, the Taj Mahal, the grand hotel is landscaped with flourishing vegetation, dotted with massive water bodies and breathtaking alleys. This luxuriant accommodation options in Agra effortlessly creates charm by offering faultless services along with a kiss of Mughal and Contemporary feel. 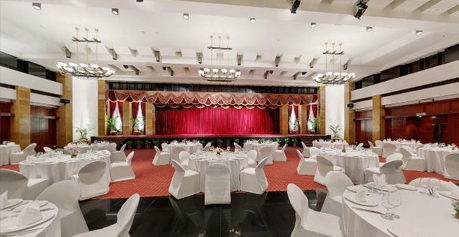 The royal dining options, extravagant rooms, golf on request, swimming pool, and magnificent business center make this hotel perfect for the tourists who are in quest of a plush stay in Agra. The hotel offers 341 spacious and well-appointed rooms that are equipped with all the contemporary amenities required for a regal stay. These rooms are sub divided into seven categories i.e. 'Standard Room', 'Executive Room', 'Palace Room', 'Junior Suite', 'Executive Suite', 'Summit Suite' and 'Presidential Suite'. 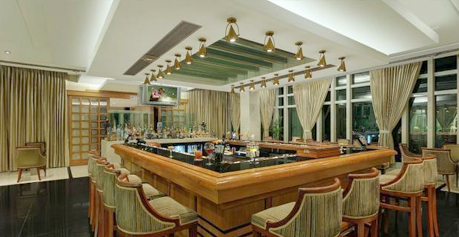 The rooms and suites of the hotel are well equipped with all types of contemporary comforts and striking interiors. The kind of pleasant ambiance, amusement, exotic food and sumptuous lodging, this opulent hotel offers to its guests is inimitable. The all day round room services render guests an utter comfort. All Reservation will be confirmed on 100% advance payment. No refund would be allowed in case of breakdown of electricity, failure of AC/ Geyser etc. during their stay in the hotel. Once the entry for booking of rooms made in the Booking register and the guest checks-in, no refund would be allowed in case the guest decides not to use the room on any account whatsoever. The Refund on cancellation would be as under. 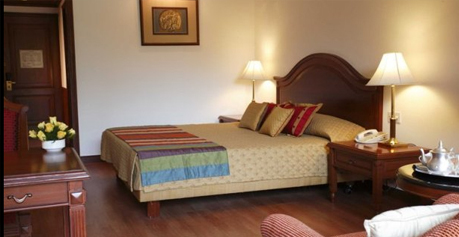 The hotel is positioned at a perfect location and has good connectivity with the major tourist destinations in Agra. The tourist spots that are well linked to this hotel are Taj Mahal, Sadar Bazar, Agra Fort, Mankameshwar Temple, Ram Bagh, Jama Masjid, etc. The distance of Agra Airport from the hotel is almost 12 kilometers. 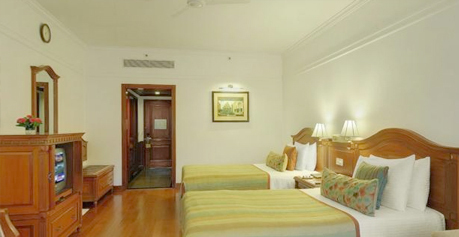 Moreover, Agra Fort Railway Station is at a distance of just 8 kilometers from this luxurious hotel.